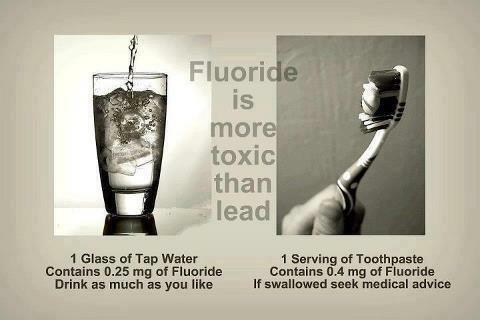 I’m not a fan of fluoride in our toothpaste and definitely believe it should not be in our water supply. When I take my sons to the dentist for cleanings, I skip the fluoride treatment. 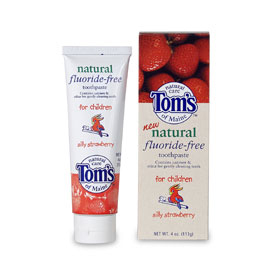 Their toothpaste is fluoride-free. Not one cavity for both of my boys! Their only source of fluoride is our drinking water. But that’s about to change since we just purchased a reverse osmosis water filtration system for our home. Reverse osmosis is one of the only ways to filter out fluoride in your home tap water. EWG (Environmental Working Group) recommends drinking filtered tap water. This is primarily due to manufacturers of bottled water are not listing water sources or purification methods on their labels. More to the point, tap water is regulated by the EPA (Environmental Protection Agency) under stricter standards than the FDA’s (Food & Drug Administration) regulation of bottled water. The FDA sends inspectors to bottling plants every 2-3 years. In 2009, almost 50% of bottled water sources came from tap water. I know that if I’m going to drink tap water, I would want to know how it’s filtered and also use a reusable bottle made from stainless steel or BPA-free plastic than buy it in a non reusable, non BPA-free plastic bottle. I digress…back to fluoride and it’s dangers of over-consumption. Most developed nations, including Japan and 97% of Western Europe do not fluoridate their water supply. However, comprehensive data from the World Health Organization reveals that there is no discernible difference in tooth decay between the minority of western nations that fluoridate water, and the majority that do not. In fact, the tooth decay rates in many non-fluoridated countries are now lower than the tooth decay rates in fluoridated ones. 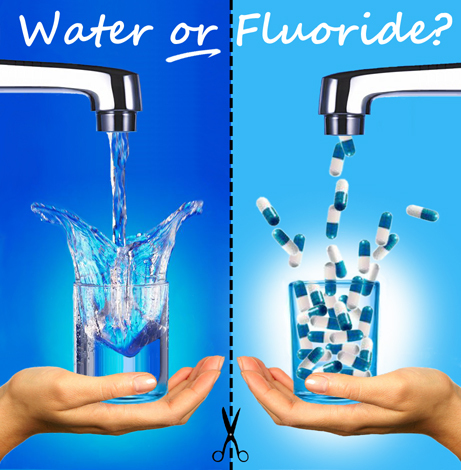 The most obvious reason to end fluoridation of our water supply is that it is now known that fluoride’s main benefit comes from topical contact with the teeth, not from ingestion. Even the CDC’s Oral Health Division now acknowledges this. There is simply no need, therefore, to swallow fluoride, whether in the water, toothpaste, or any other form. There are many health concerns other than dental fluorosis (excess levels of fluoride causing tooth enamel to mottle and discolor, then decay). Studies by The Lancet and National Research Council indicate that fluoride is a neurotoxin that interferes with the function of the brain and body and also reduces IQ levels, indicating that fluoride intake causes cognitive damage. In 2003, the National Research Council appointed one of the most balanced and objective panels of experts that has ever objectively investigated fluoride. They spent about three years studying it and determined that the current “safe” drinking water standard of 4 ppm (parts per million) set by the Environmental Protection Agency (EPA) for fluoride is too high and should be lowered. But in the four years since, the EPA has not completed a new health-risk assessment, and thus we still live with this outdated and unsafe standard, even though the NRC study was specifically requested by the EPA. So to answer my question, YES, we are getting too much fluoride and it’s NOT a good thing. Fluoride is toxic and you must have a prescription from a doctor to get it. But our municipal water suppliers are purchasing it and adding it to our water. Once it’s in the water, you can’t control the dose of any individual’s daily consumption. There is no oversight nor a doctor prescribing it for you and your family. To learn more about your local water supply, log onto http://www.epa.gov/enviro/facts/sdwis/search.html .